“In brightest day, in blackest night, No evil shall escape my sight. Let those who worship evil’s might Beware my power–Green Lantern’s light!” That beautiful oath is of those from the Green Lantern Corp. 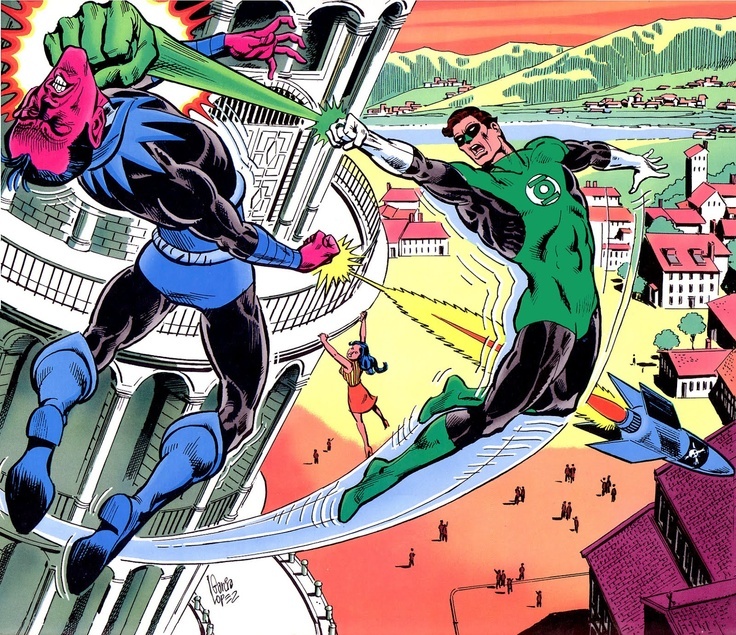 In the comics we follow a few Green Lanterns but the most famous one is Hal Jordan, a test pilot for Ferris Aircraft. Even without his ring he was known to be a fearless pilot. That boldness is what caused him to be chosen by Abin Sur’s ring to become the Green Lantern of Earth. The Green Lanterns are powered by willpower and the more will they have the stronger they can be. However a comic book character is nothing without a nemesis. The Sinestro Corps or Yellow Lantern Corps, head by the sinister Thaal Sinestro, is one of the early archnemesis of the Green Lantern Corp. While the Green Lanterns are powered by the user’s will the Sinestro Corp is powered by the fear of others. According to the Apostle Paul, as he writes to Timothy, God would never let us power the Sinestro Corps ring. Here’s why. The Apostle Paul tells us that God didn’t give us a spirit of fear. He gave us a spirit of power, love, and self discipline. This is confirmation of what King David told us in Psalm 34:4, “I sought the Lord, and he answered me and delivered me from all my fears.” When times are rough, when we get a bad report, when we lose our way, no matter what comes may we should not be afraid. We must pray. Did deep and find that power that was given to us by God through his Holy Spirit. His power can trump any problem you have because he created the universe and he created you. (Col 1:16) Do not be afraid of what comes in life. With the holy spirit and willpower you can achieve anything. You too can have the power of the Green Lanterns of Oa. Please stay tuned for Friday, even though we as Christians could be like Green Lanterns many of us could be a part of another Lantern Corp. Will tell you then. Heavenly Father, I thank you that in the brightest days and blackest night you are there. That you let me know that I have nothing to fear because you are with me. Thank you God for giving me power to stand up to my fears and allow me to conquer them. In Jesus Name, Amen.